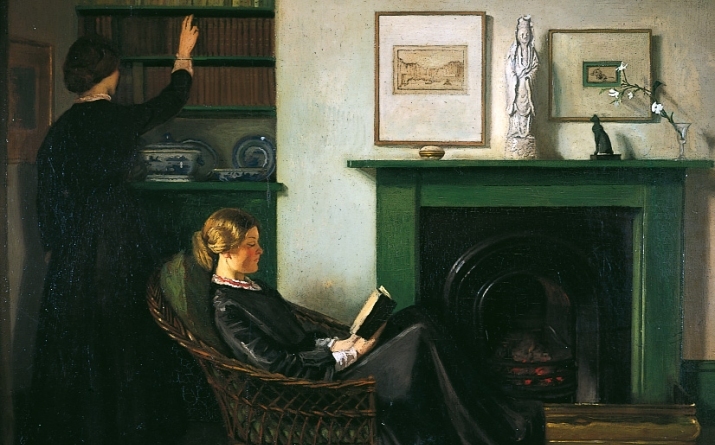 William Rothenstein, The Browning Readers. Courtesy of Bradford Museums and Galleries. An exhibition of ACS member William Rothenstein’s work, organised by Bradford Museums and Galleries, opens this month at Cartwright Hall Art Gallery. Focusing on the artist’s achievements as a painter, draughtsman and print-maker, the exhibition will explore the important cultural encounters that caused the direction of Rothenstein’s life and work to change. These include his early training in Paris, his visits to Spain, Germany and India, his experiences as a war artist, and his sometimes fraught relationship with his home city, Bradford.